My boyfriend adores this cake and I don’t know how often I have already baked it for him 🙂 Almost at every birthday of his, he wishes for this cake. 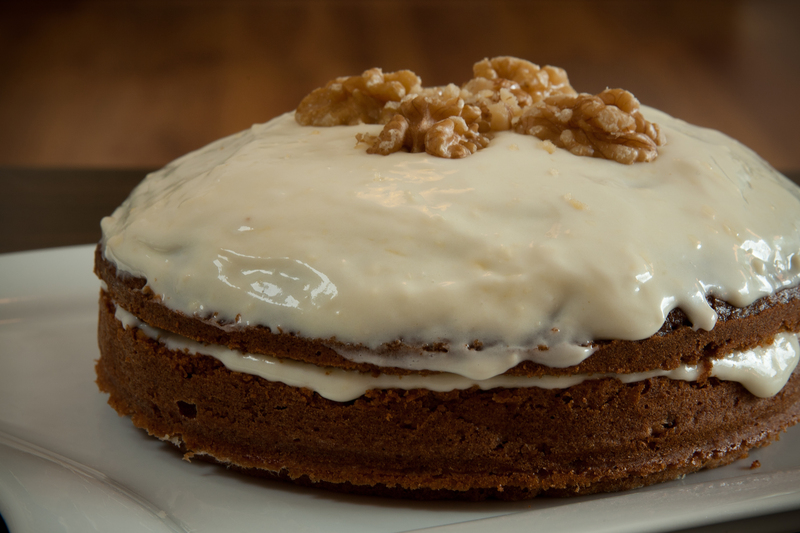 Ever since we have lived in England for a couple of month, he is crazy about carrot cake and luckily I found a pretty good recipe in one of my English baking books 😉 It is packed with carrots and a good handful of walnuts which I usually crush very finely. It is topped with the best icing ever, a refreshing cream cheese frosting with a bit of lemon! I always like to decorate it with walnuts so you immediately see what’s expecting you inside 🙂 Ever since I am baking it, I adapt the recipe a little here and there, so expect my recipe soon when I will bake it the next time, promise!